Teaching and Learning at Greenwood Academy – The beginnings of a journey towards great teaching. 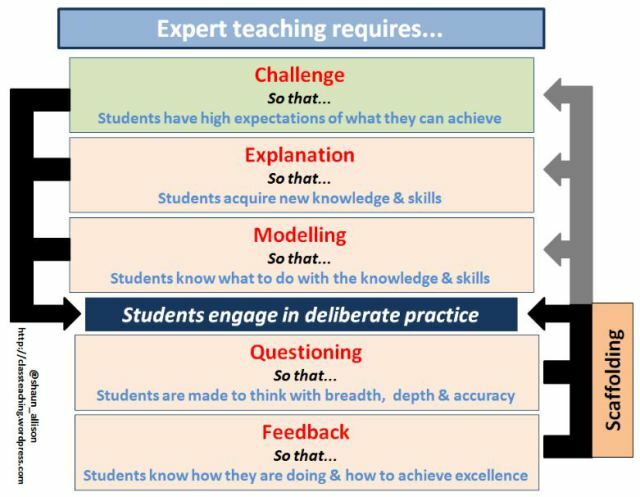 What’s our strategy to improve teaching and learning? The aim is simple. To deliver consistently great lessons so that students receive an education that best supports their learning, progress and ultimately their future success. As John Tomsett rightly states “the best pastoral care for students from the most deprived socio-economic background is a great set of examination results.” (Tomsett, This much i know about love over fear) With this in mind it was important to route our strategy in what works and in practice that has been researched to have the highest leverage in closing the attainment gap. Within this we are looking to develop further a culture of excellence and growth amongst staff and students which rewards hard work, effort and in which mastery of content and it being applied successfully is celebrated. (Allison and Tharby, MEC) This is going to be supported by a professional development which encourages collaboration amongst colleagues in which teachers strive to improve no as Dylan Wiliam says “they are not good enough but because they can be even better” with the results being “no limit to what we can achieve”. To a chieve this we have adopted the six principles to support great teaching and learning from the excellent book ‘Making every Lesson Count’ by Alison and Tharby. These are known as the ‘Big 6’. The rationale behind these is uncomplicated. They are clear, meaningful and grounded in research. They allow a common language for all as well as allowing for subject autonomy and flexibility, ensuring that teachers can teach according to the needs of their subjects and their own style. Having reviewed the Greenwood quality assurance process from 2016-7, we saw there was a real need to strip back, simplify the existing framework and ensure a clear, specific foci. Many of you reading this will know that research has clearly indicated the unreliable nature of lesson gradings and we were keen to find an alternative method that will help us to drive teaching and learning further. We wanted to ensure the six principles underpinned our strategy and focused learning walks would be a key tool in improving the quality of teaching and learning. Learning walks will support the focus on the whole school ‘6 principles’ and staff will comment on the strengths of the lesson (shown as Yes) and comment on areas of development (not yet). The language here also supports our ‘Greenwood Growth’ philosophy. You can click on the image to see a larger view. 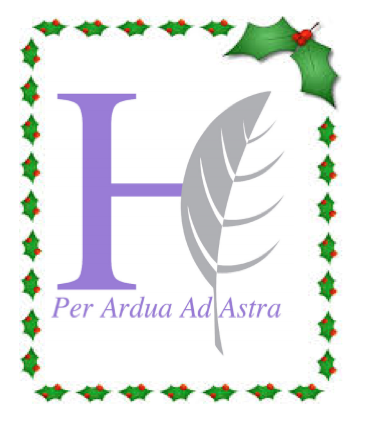 This term’s festive inspired T&L journal is out now! As part of our drive for quality verbal responses, Faculty Leader of Humanities Anton Kolaric has been developing the use of hinge questions. As a result of our recent ‘Bright Spots’ learning walk you can also see examples of the great teaching at Aldridge School. Inspired by Lesson Study, Faculty Leader of Mathematics Graham Wilson has established Learning PODs this term. Every teacher has been paired up with two colleagues, and are working on a key factor associated with great teaching. The findings will be shared duirng our whole school Tea-time Tasters next half term. Matthew Moore has also written a detailed review of ‘Making Every Lesson Count‘ and its application in the classroom. This was our first ‘Bright Spots’ learning walk. It has been introduced as part of our existing varied CPD programme – providing bespoke opportunities through tea-time tasters, Outstanding Learning Communities and CPD festival weeks. For various reasons, a trial of lunch-time sharing sessions did not really take off last year so I decided to consider other ways to find and share the best practice taking place across school. I took inspiration from the superb Shaun Allison’s ‘Perfect Teacher-Led CPD’ and arranged for our Faculty Pupil Champions to give up one lesson to walk around our classrooms, recording examples.Staff were informed through whole staff briefing and examples of great teaching have been shared through this blog and the next edition of the Aldridge T&L journal. Also in Geography, Aimee saw this simple method of encouraging pupil feedback. The simple use of the word ‘Act’ on the yellow assessment sticker showed students when they needed to respond to the teacher comments. In English students were tackling personalised improvement tasks. Students were asked to ‘make their work excellent’ by re-drafting the last assessment task using the success criteria. In Sociology/Psychology Rebecca Ward had made superb use of her classroom space to provide additional tasks to challenge KS5 students. There were four activities on her display board including ‘Reflection Time’ and ‘Tweet Me’. A great example in developing student independence. Finally in History, students were transfixed by their paired starter activity – piecing together a jigsaw puzzle of a plague doctor. Students were stretched even further with follow-up questions – Describe what you can see. – What you think it is and why? What would you still like to find out about it? Thanks to all our Pupil Premium Champions and staff for their time! A San Francisco cable car holds 60 people. This blog was viewed about 570 times in 2014. If it were a cable car, it would take about 10 trips to carry that many people. 12 Joyous Moments for Christmas. A short selection of moments from my first term at Highbury Grove; the kind of moments that make doing this job so wonderful. Leah made a video for her science homework. The story of scurvy and vitamin C deficiency brought alive via a bedroom production, scripted and edited on her iphone. I realised I’d never heard her talk for so long in my lessons – it changed my view of her entirely. I shared my personal remembrance story in assembly. Ahmed approached me later that day. “Sorry to hear about your Dad Sir. He’s with Allah now innit”. Said, looking skywards with total sincerity. I could have hugged him.